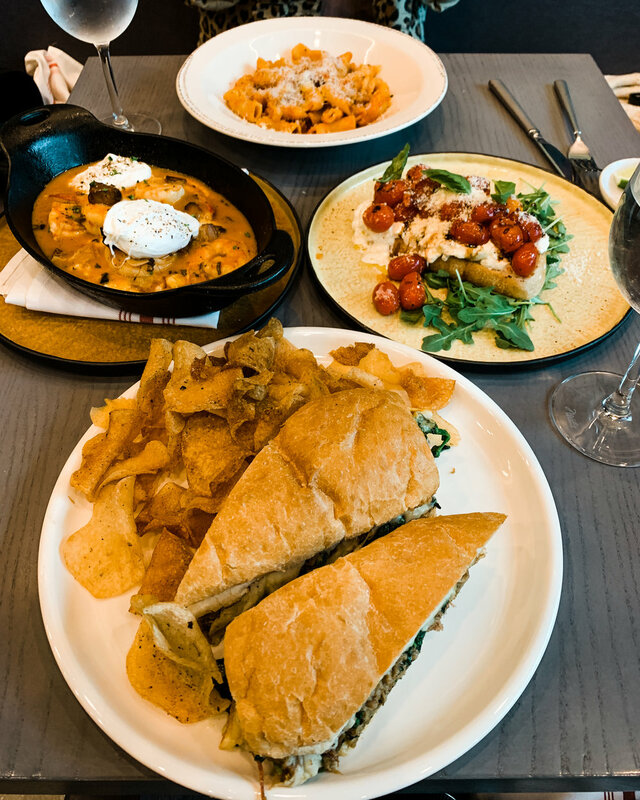 Osteria Tampa is one of my favorite Tampa restaurants that opened in 2018. We had a preview of their dinner menu before they officially opened and now they have launched a brunch and lunch menu! Between the creative decor and incredible Italian dishes curated by Chef Fabio Viviani, Osteria is a must visit restaurant in Tampa. 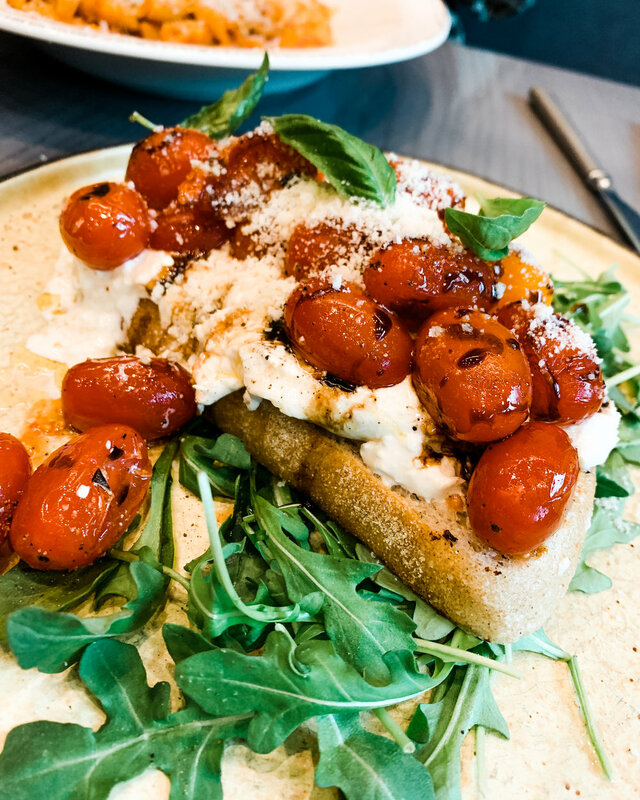 We started off with the Burrata Crostino, which was grilled country bread topped with roasted cherry tomatoes, arugula, balsamic, basil, extra virgin olive oil and of course Osteria’s mouth watering burrata. From their new brunch menu, we tasted their Italian Shrimp and Grits, which was a delicious take on the traditional southern dish. The grits were topped with two poached eggs and GIANT shrimp. It was a spicy and cheesy blend that was so good I literally drool when I think about it. Up next was the Rigatoni All’ Amatriciana; rigatoni made with guanciale, shaved onion, spicy tomato sugo and topped with pecorino romano. The guanciale was tender and unlike any kind of pork I’ve tried before and worked so well with the spicy sauce! Last but not least the Italian Roasted Pork Sandwich made with roasted pork, provolone piccante and broccoli rabe, served with a side of house salt & vinegar chips. The house chips were so thin and crunchy, they might have been some of the best salt & vinegar chips I have ever tasted. This post was written by contributor, Michaela Hedderman. This Babe Eats was invited to dine in exchange for an honest review and opinion. Love this post? Save it to your foodie Pinterest board!